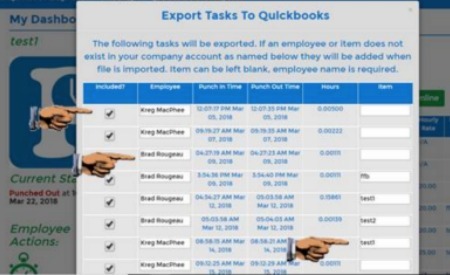 Calgary-based EmployeeAssist rolled out an integration of its PayTickr time-tracking and payroll software with the Canadian online and desktop versions of Intuit’s Quickbooks. The integration allows companies to manage employee hours, payroll, invoicing and payment through a single process, eliminating the need to manually enter data from one product to the other. Customers using only PayTicker’s time-tracking tool can transfer employee hours worked directly to the Quickbooks payroll feature for processing. PayTickr continues to partner with Winnipeg-based Telpay to offer electronic payment, also through Quickbooks. The hours-worked reports can also be used by Quickbooks to generate invoices. The integration allows PayTickr customers who use both its time-tracking and payroll features to process their payroll journal entries into Quickbooks for electronic payments, which will again be made by Telpay. Since it’s now part of the Intuit Developer Partner program, PayTickr’s app will soon appear in the Intuit app store. PayTickr is a time-tracking and payroll tool designed primarily for businesses with mobile workforces. Its GPS-equipped app acts as a “digital punch card” that allows employees to punch in and out anywhere from their phone. It handles overtime and vacation calculations, as well as remittances and tax calculations, paystubs, and employee work and location logs. While we don’t think the PayTickr/Quickbooks integration is a dramatic turn by any means, it’s certainly a good illustration of how small-business technology tools are advancing at an increasing clip. For now, much of the emphasis seems to be on saving small-business leaders and HR staff time, which is one of the deepest pain points they face. Last year, ADP reported that about 70 million U.S. small businesses had assigned HR responsibilities to employees who had to take on the work in addition to their primary responsibilities. The company found that such “ad-hoc” HR managers spent more than 13 hours a week on workforce-related issues—more than a quarter of their time. Fewer than one in four felt they had the tools to do the job properly. For those customers, any tool that frees up time is going to be a welcome addition. However, there’s no shortage of inexpensive solutions in QuickBooks’ app store that track hours, process payroll, handle expenses and even performance reviews. PayTickr’s entering a crowded field, but it’s another sign Intuit is well-positioned to dominate the HR solution space for small and microbusinesses.